Falkland Islands: England, MY England! Argentina has invaded the British territory of the Falkland Islands in the south Atlantic. The islands, off the coast of Argentina, have been a cause of friction between the two countries since Britain claimed them in 1833. The Argentine flag is now flying over Government House in the Falkland Islands' capital, Port Stanley. The head of the country's military junta, General Leopoldo Galtieri, has welcomed the "recovery" of "Las Malvinas" - the Argentine name for the Falklands. General Galtieri said Argentina had been left with no option other than military action. The invasion followed months of sabre-rattling and a build-up over the past few days of Argentine war ships off the Falkland Islands, home to about 1,800 people. At 0600 on Friday Argentina began "Operation Rosario" when a unit of Argentine troops landed near Port Stanley. The leader of the Argentine forces, Admiral Jorge Anaya, had contacted the Falklands' governor, Rex Hunt, to appeal for a peaceful surrender. But the request was rejected and the 80 members of the Royal Marine regiment stationed on the island and 20 locals were mobilised. More at the Beeb here. The subsequent war cost the lives of 655 Argentine and 255 British servicemen, many of them sailors who died during attacks on warships. It ended on 14 June when the commander of the Argentine garrison at Port Stanley surrendered to British troops. That was then, with Margaret Thatcher as British Prime Minister and her great allie Ronald Reagan as President of the US. Today? We have David Cameron as British PM, and Obama as POTUS. Nearly 30 years after Britain and Argentina went to war over the Falkland Islands, the two countries have struck up a battle of words that the Obama administration is trying to steer clear of. Back in 1982, Secretary of State Alexander Haig fruitlessly shuttled between London and Buenos Aires to try to mediate a solution on the island that's been in Britain's possesion since 1833. Argentina's navy invaded the island, spurring British Prime Minister Margaret Thatcher to dispatch a naval task force to start what would be a nearly 10-week war that left nearly 900 dead on both sides. As President Obama hosts British Prime Minister David Cameron for an official visit today, there could be some awkwardness on the Falklands issue, says Nile Gardiner, a U.K. analyst at the conservative Heritage Foundation in Washington. Gardiner says Obama's neutral stance is seen as a "knife in the back" in London. 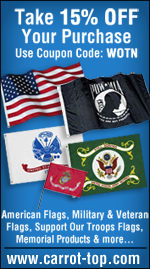 Britain backed the U.S. war in Iraq and has 9,500 troops in Afghanistan. I think by now, all of America's historical allies understand that with Obama in the White House, those alliances mean next to nothing, even as the American people still value old alliances. Be that as it may, today services are being held in Britain and Argentina to mark the 30th anniversary of the start of the Falklands War. Services are being held in Britain and Argentina to mark the 30th anniversary of the start of the Falklands War. 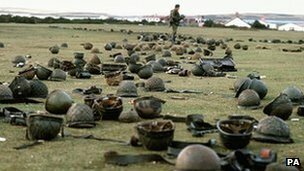 Some 255 British and 650 Argentine troops died after the UK sent a task force to the islands in response to Argentina's invasion on 2 April 1982. The anniversary comes amid renewed tension, as Argentina has reasserted its claim to the archipelago. The UK's prime minister has suggested the day is used to remember both the Argentine and British dead. In a statement, David Cameron has also said that he remains committed to upholding British sovereignty over the islands. Britain has controlled the Falklands since 1833 but Argentina claims the territory - which it calls the Malvinas - saying it inherited its rights to them from Spain. British veterans of the war - and relatives of those who died - will pay their respects at Britain's National Memorial Arboretum in Staffordshire. There a single candle will be lit as a gesture to mark the anniversary. In his statement, Mr Cameron said: "30 years ago today the people of the Falkland Islands suffered an act of aggression that sought to rob them of their freedom and their way of life. "Today is a day for commemoration and reflection: a day to remember all those who lost their lives in the conflict - the members of our armed forces, as well as the Argentinian personnel who died.".. Today IS a day of reflection, and remembrance. Previous Falklands columns at Assoluta Tranquillita here, here, here and here, for just a few and put "Falkland Islands" in the search thing for more. No matter the sabre rattling out of Argentina, no matter BHO 'neutral stance,' or even Sean Penn's ignorant blatherings, the Falkland Islands is - and will remain - England, MY England.